There’s something about a bowl of restaurant-style spinach artichoke dip that is almost irresistible. Whether it’s the ooey-gooey cheese, or the warm chunks of artichokes, we just can’t get enough. But all that cheese and grease packs a mean caloric punch. This healthy spinach artichoke dip recipe trades cream cheese for tofu to create a creamy, vegan-friendly appetizer. Put the tofu, nutritional yeast, lemon juice, peppers, and salt in a high speed blender and blend until pureed. Put the olive oil in a skillet over medium heat. Add the onion and garlic then cook for 2 minutes. Add the spinach and artichokes. Cook for about five minutes. Add the tofu mix, cook for a few more minutes. Decorate with dill before serving. Serve with bread or pita chips. 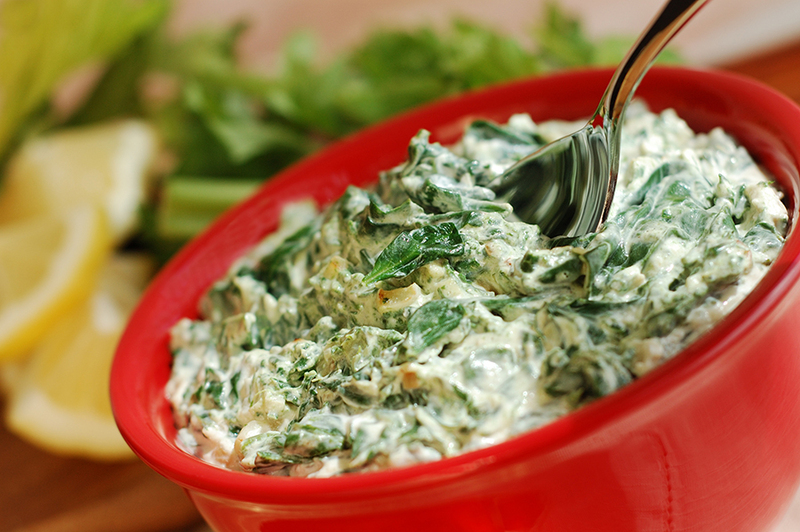 Now that you have this healthy spinach artichoke dip recipe in your arsenal, you’ll be ready for your next midday snack, game day, or dinner party. Surprise your guests with how flavorful and nutritious this classic favorite can be. Enjoy!